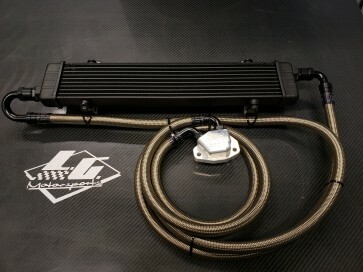 This is the latest and most thoroughly tested version of the LG Motorsports oil cooler. It has been designed to work with naturally aspirated, supercharged and ProCharged C7 Corvettes. Temperatures on the factory system were 298° on a 97° Texas day with track surface temperatures at 122°. The LG Motorsports Oil Cooler saved the day with temperatures never exceeding 239° in similar conditions as previously tested. THAT'S A DECREASE OF 60 DEGREES!!! This kit is a complete bolt-on affair and can be installed in the garage at home in a few hours with basic handtools. 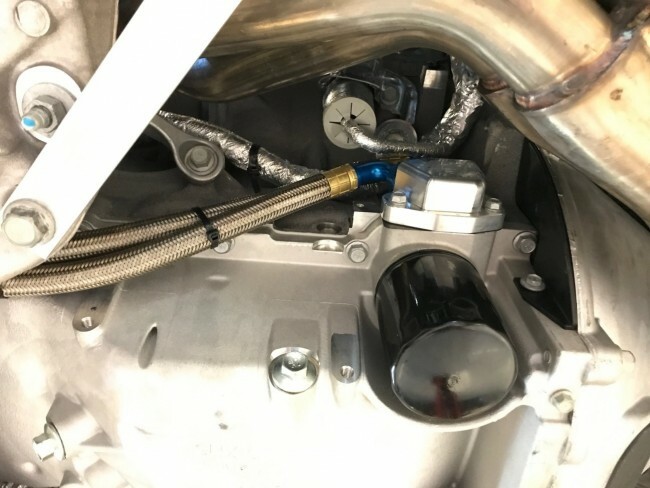 We utilize our billet adapter block to allow you to tie into the oiling system and run -10AN stainless steel hoses to and from the cooler. Our system replaces the factory system, completely. The coolant lines that run to the factory oil block are deleted. 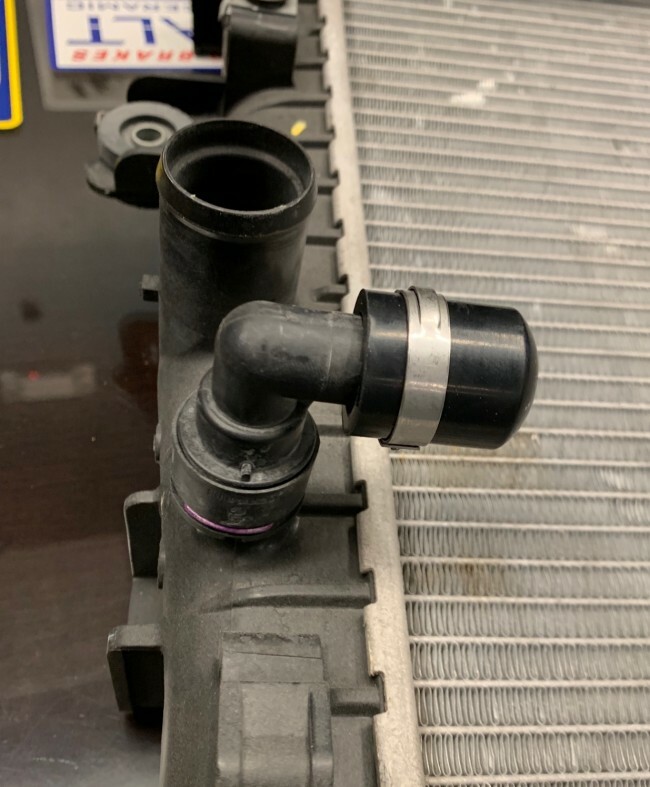 We supply the replacement freeze plug for the side of the engine block and a rubber cap for the hose that used to run to the radiator. 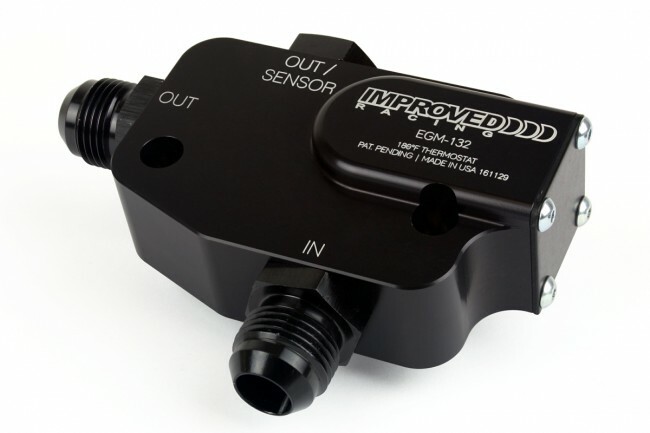 For those who wish to retain a thermostatic valve we have an optional adapter block to maintain precise control of oil temperatures. 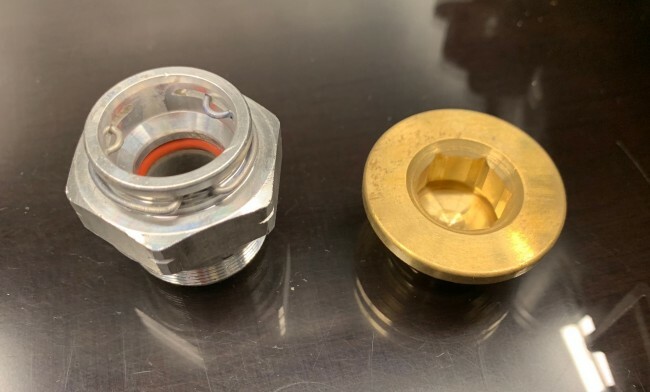 Improved Racing's adapter features a built-in thermostat that automatically bypasses the cooler until the oil reaches operating temperature. 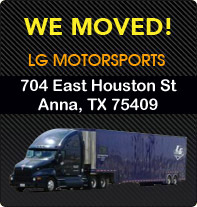 No need to worry about over-cooling the oil or long warm-up times! Just select your preferred temperature from the drop down below. Buy with confidence that all testing and fitment has been taken care of for you and all you have to do is have fun on the track! 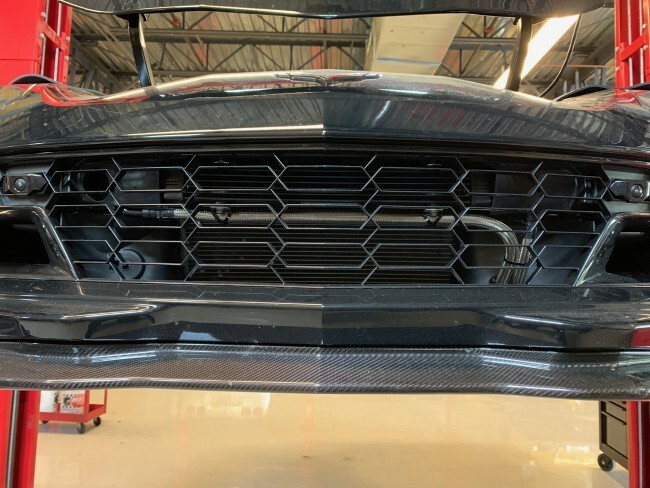 This system is for the C7 Stingray and Z06 Corvettes. 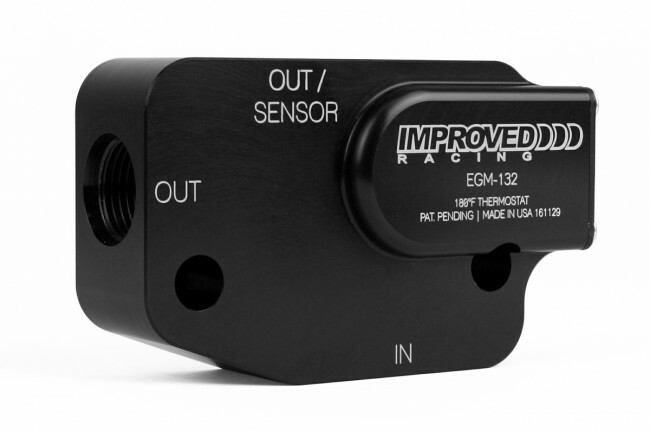 Also designed to work with most forced induction systems such as ProCharger, A&A, etc.